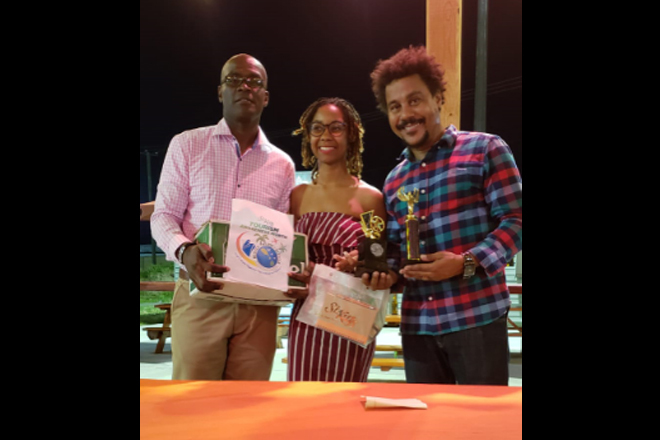 Melissa Rawlins aka “Butters” has won the Tourism Week Karaoke Competition held at the Rams food court on Thursday night. The competition was judged in male and female categories. Rawlins won the female category with her performance of No Doubt’s “Underneath it All” and Craig Mcdowell won the male category with Bachelor’s “I Saw What You Did Last Night”. The two winners then faced off and Rawlins won overall with her performance of Cher’s “Believe”. The karaoke competition was one of several activities organized by the Ministry of Tourism to celebrate Tourism Month 2018.